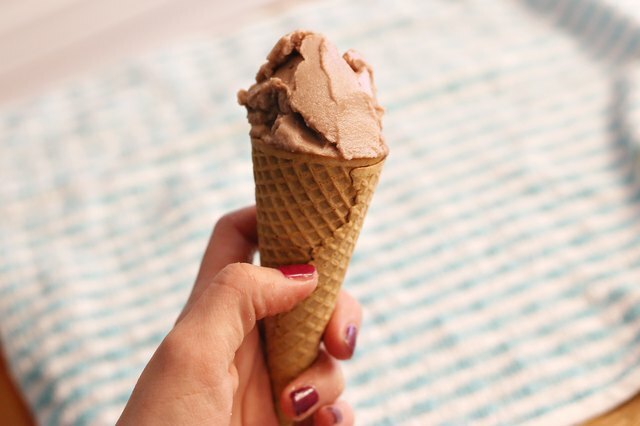 You don't need a fancy ice cream machine to make homemade chocolate ice cream. All you need are a few things that are probably in your pantry. 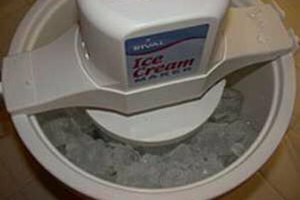 This is a fine way to make an individual serving of ice cream, and the recipe can easily be increased to make several servings. Get the children involved and let each of them make their own. Gather together two zip-top quart freezer bags and two zip-top gallon freezer bags. The small bags hold the ingredients for the ice cream and the large ones hold the ice. Double bagging is necessary to prevent leaks. 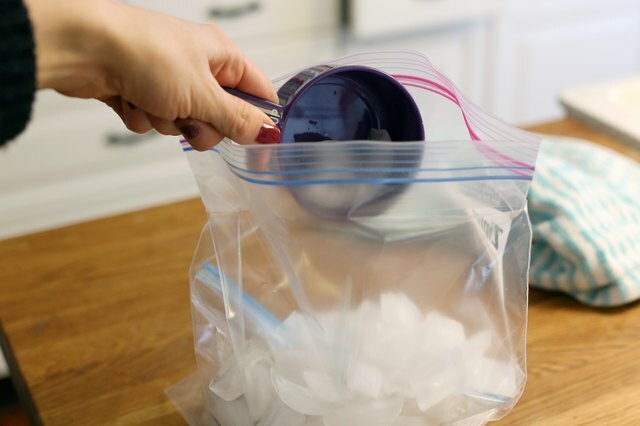 Use freezer bags because they are sturdier and less likely to leak or to be punctured by the ice. Save the gallon bags to use again the next time you make ice cream. Ice and regular table salt are what freezes the homemade ice cream. 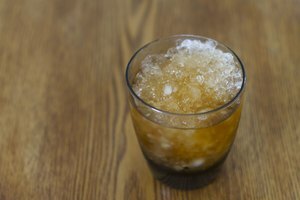 Salt decreases the freezing temperature of water. It melts the ice and creates water below 32 degrees F. This allows the below-freezing water to surround the ice cream mixture and freeze it, according to TeachNet.com. You also need a towel large enough to wrap around the gallon bag. This recipe is for one serving of ice cream. Double the ingredients to make two serving in the same bag. 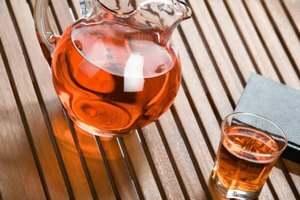 If you want to make more than two servings, increase the inner bags to gallon sized and the outer bags to 2-gallon-sized bags. Place 1/2 cup of milk, 1 tbsp. sugar, 1/4 tsp. vanilla and 1 tsp. chocolate syrup into one of the quart-sized bag. Chocolate flavor milk can be substituted for these ingredients. If using chocolate flavor milk, add one tsp. sugar, as the cold will mask the sweetness in the chocolate milk. Shake the bag to mix the ingredients. Close the quart bag securely with as little air inside the bag as possible. Place this bag inside of the other quart bag. Close this bag, eliminating as much air as possible again. 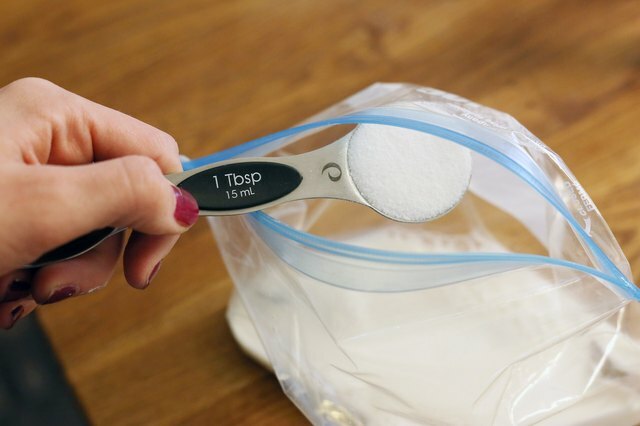 Place these bags inside of one of the gallon bags and add 4 cups of ice and 4 tbsp. table salt. Again, close this bag with as little air as possible. Place this inside of the other gallon bag and seal. Wrap the bag in a towel and begin massaging and shaking it. You want to insure that the cold water and ice mixture goes around all sides of the homemade chocolate ice cream mixture. It will be frozen and ready to eat in approximately 5 to 8 minutes. Bella Michaels is a graduate of the University of Memphis. After a successful career in business she turned her talents to writing. After blogging professionally since 2006, her career expanded to include writing for Demand Studios in 2009.